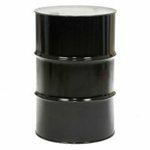 Save money by purchasing Evapo-Rust in this economical 5 gallon container size. Evapo-Rust™ is a breakthrough new technology that removes rust while leaving surrounding materials unharmed! 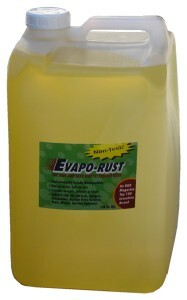 Save money by purchasing Evapo-Rust in the economical 5 gallon container size. Evapo-Rust is a safe, effective and fast-acting rust remover. In addition, it’s easy to use. Simply soak your rusty object in Evapo-Rust for 20 minutes to remove light rust or overnight to remove extremely heavy rust. Evapo-Rust™ will not harm surrounding materials like steel, plastic, rubber or paint. It is a water-based, non-toxic liquid that is environmentally safe to use – no fumes or bad odors. The biodegradable solution requires no special equipment or scrubbing to use and can be safely disposed into sewers and drains. Evapo-Rust has an indefinite shelf life and can be used over and over again until it stops working. Unused portions can even be returned to the jug for re-use later. For larger quantities we recommend the 55 Gallon size. View examples of what Evapo-Rust can do. A. How long you need to submerge your rusted parts in Evapo-Rust depends on the extent of the rust. Light rust will take 30 minutes or less. For heavy rust an overnight soaking is recommended.